The Spanish television series The Ministry of Time (February 2015—present) and film The Queen of Spain (2016) both revisit the canonical legends of Isabel I of Spain and re-create her image for twenty-first century audiences. However, unlike the popular series, Isabel—analyzed in other contributions to this volume—these two re-creations are equivocal in their handling of the iconic queen. The Ministry of Time, now in its third season on RTVE, has been met with almost unqualified acclaim by media critics. The Queen of Spain, on the other hand, flopped spectacularly. This chapter analyzes the two productions as historiographic metafictions that combine the representation of history with self-reflexive commentaries on historical revisionism that call attention to Isabel’s ambivalent legacy as well as their contrasting reception. El Ministerio del Tiempo. Television Series. RTVE. Season 1 (2015). Episodes are available online: http://www.rtve.es/television/ministerio-del-tiempo/capitulos-completos/temporada1/. Isabel. Television Series. RTVE/Diagonal TV. Seasons 1–3 (2012–14). Episodes are available online: http://www.rtve.es/television/isabel-la-catolica/capitulos-completos/. Martínez, Luis. “La última columna: Fernando Trueba,” El mundo, November 25, 2016. http://www.elmundo.es/opinion/2016/11/25/58373d5146163ff2468b45f5.html. Ocaña, Javier. “Sombras en los ojos de la niña.” El País. November 24, 2016. http://cultura.elpais.com/cultura/2016/11/24/actualidad/1479943642_150688.html. Rodríguez Marchante, Oti. “‘La reina de España’ (**): El valle de los alicaídos.” ABC, November 24, 2016. http://www.abc.es/play/cine/criticas/abci-reina-espana-valle-alicaidos-201611242128_noticia.html. Juan Saguino, “No, el boicot a Trueba no tiene la culpa del fracaso de ‘La reina de España’,” Vanity Fair, November 30, 2016. http://www.revistavanityfair.es/actualidad/cine/articulos/boicot-a-trueba-no-tiene-culpa-fracaso-la-reina-de-espana/23163. Fundación Nacional Francisco Franco. “María Ángeles Villarta Tuñón.” Undated. http://www.fnff.es/M_Angeles_Villarta_Tunon_414_c.htm. Hilgarth, J. N. “Spanish Historiography and Iberian Reality.” History and Theory 24, no. 1 (1985): 23–43. http://www.jstor.org/stable/2504941. Labanyi, Jo. “Memory and Modernity in Democratic Spain: The Difficulty of Coming to Terms with the Spanish Civil War.” Poetics Today 28, no. 1 (Spring 2007): 89–116. https://doi.org/10.1215/03335372-2006-016. ———. “Historias de víctimas: la memoria histórica y el testimonio en la España contemporánea.” Iberoamericana 6, no. 24 (2006): 87–98. http://www.jstor.org/stable/41661175. “Ley 52/2007, de 26 de diciembre, por la que se reconocen y amplían derechos y se establecen medidas en favor de quienes padecieron persecución o violencia durante la guerra civil y la dictadura.” Boletín oficial del estado, 301 (2007). http://www.boe.es/boe/dias/2007/12/27/. 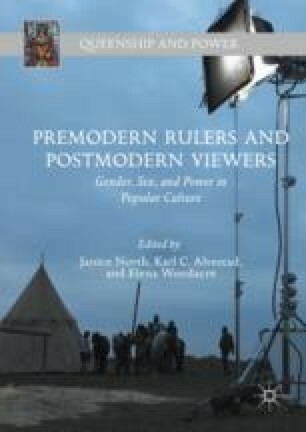 Weissberger, Barbara F. “Isabel on TV: Politics Past and Present.” Early Modern Women, An Interdisciplinary Journal 8 (2013): 349–359. http://www.jstor.org/stable/23617861.